OUR MISSION: To create an enjoyable and stress free experience for each and every one of our clients. We strive to deliver the job on time, in budget, and with quality materials. 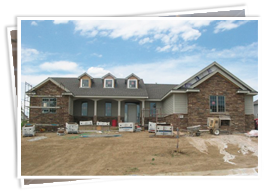 When it comes to cus tom homes in the greater Omaha area, Geiger Built Homes caters to your budget, with building packages starting at $200,000. Check out our individualized floor plans today to see what will work for you and your family. Our process is unique from other builders. We lay out your specification sheet, plans and contract right away. Our customers know exactly what they are getting in their home, and the process is less stressful in that way. We understand that your home is important to you and we love the reward of moving in a happy family! There are no two identical projects, so we are constantly adapting to our customer’s needs. 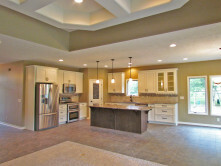 We can customize any home plan or you can choose from one of our creative designs. 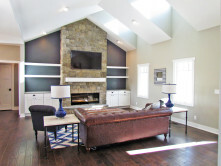 At Geiger Built Homes we strive to deliver exactly what the customer desires on time and on budget. 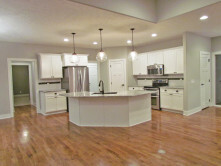 Visit our model home at 20703 Ames Ave, Omaha, NE 68022 today!